Sell HTC Desire 816 | How Much is My HTC Desire 816 Worth? Select the information above in order to receive an accurate quote for the HTC Desire 816 you want to sell. Click sell item if you agree with the price that is displayed. GreenBuyback purchases cell phones, tablets, and laptops at the highest prices in the industry! GreenBuyback pays cash for your old cell phones, tablets, and laptops. When you sell your cell phone, tablet, or laptop to GreenBuyback you will never have to pay shipping. GreenBuyback is dedicated to maximizing the cash back to our customers. Sell your HTC Desire 816 for cash today! The HTC Desire 816 was originally released in May 2014 by HTC. The phone is plastic and lightweight, but that doesn’t mean it isn’t a best in class mid range phone! Powered by a 1.6GHz quad-core Qualcomm Snapdragon 400 processor, the Desire 816 has a 8GB storage that can be easily upgrade using the microSD card slot. For the money, the Desire 816’s display is unparalleled boasting a 5.5 inch HD display. The body weighs 5.8 oz and is easy to use with one hand. GreenBuyback will buy your HTC Desire 816 in any condition, even broken! 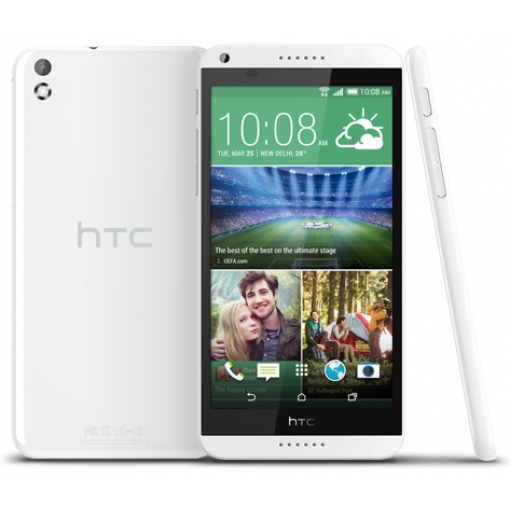 Simply head to GreenBuyback to get a quote, send your HTC Desire 816 in, and get cash quick! The Desire 816 is a great deal compared to other phones of comparable performance. The battery life is 2,600 mAh and can last for a day for those using email, apps such as Facebook and Twitter and web browsing. As far as connectivity, this phone has it handled -- wifi, Bluetooth and 4G/LTE are all standard. A powerful little phone for the stylish, but price conscious consumer. Selling a HTC Desire 816 is so easy with GreenBuyback; send your HTC Desire 816 to GreenBuyback with free shipping and you’ll get cash sent to you fast!